Please PM me your Origin Name if interested. We are trying to form two parties of 8 people on each team to finish out Hutt Contracts. If you see me online, I'm usually hosting and trying to gather random to people to join. The problem is players keep joining and leaving the lobby. I also go to other modes like walker assault matches to recruit people to join our parties. Let me know whenever you are free to play and I'll add you to one of my parties, so we can get these matches started again. If you are from Europe (or nearby) and you play on PC, and if you have the whole content of the game, you can add me. I would like to play the DLCs too, but couldn't find any players either. I am from Europe, and have all DLCs. Not from Europe, but my twin 17 year old daughters and I are like minded with you in that we want to finish hutt contracts and would like to play more than just the same maps over and over. 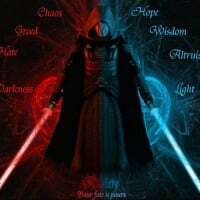 We have the Premium or best versions for both SWBF1 and 2. Would like to play with y'all even if we can't join. We are looking for a good clean fun clan where we can play and have some fun. None of us are great, but my daughters are actually getting pretty good. Another (new) player via Europe and would like to find a group to join so I can complete the Hutt contract . . . I am on Xbox. Hello There! I am an ambassador for RGF and we're looking to recruit new members to our community who are looking to join with a pal on the battlefront and just have a great time! We are a laid back clan who enjoy both casual and competitive gameplay. We are built on fun with friends, competitive need, and much more! 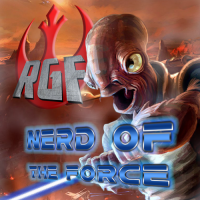 RGF has been around since 2000 and has hosted/supported almost every Star Wars game released up to this present time. We currently support both Star Wars: Battlefront (2015) and Star Wars: Battlefront II (2017). We welcome any and all types of members of skill and region. All we ask is you be respectful and keep gameplay clean and fun. We do not accept glitches and hackers of any kind, nor do we allow it to happen within our presence. We also have an elite ground unit focused and dedicated to competitive gameplay who have their own weekly night within the Discord. Talk to Nerd Of The Force about signing up with them. By joining up with RGF, you're eligible to earn special awards and ribbons, as well as gain special access within our Discord. Feel free to add Nerd Of The Force as your recruiter! IDK how to PM you. My Origin name is Ontanium. I would really like to play some DLC for fun and so as not to have to pay £10 to Origin for the unlock codes. Thanks, NerdForce1138. You are my recruiter. And I am so happy to have even the prospect of not having to have every game ruined by hacking. I don't really have a microphone and would prefer for the time being not to use one as my current situation doesn't really suit. I game on a laptop and with a gaming controller but I don't think I am the worst player every, just not going to land any 360 head shots. That's what I am here for. Add me! Ontanium. 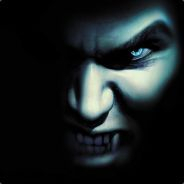 I have been just adding random people in the hopes of finding someone who actually wants to play the game. I even tried a few clans but non of them seemed to be playing SWBF2015. Thanks again for the post. Hello guys, I still love this game but barely can find anyone else who enjoys it as much as much as I do. Even less people who plays it. I would love to play with any of you, my name on Origin is JamesWars, feel free to add me to play Battlefront (2015). It would be super cool if the developers and publisher didn't completely abandon this title and kept working on it at least a little bit for its community and fans, there is so much they could still do, I see so much potential in this game even after all this time. This is one of the few old games from DICE that barely have people playing, old Battlefield titles still are going just as strong as the newer ones.